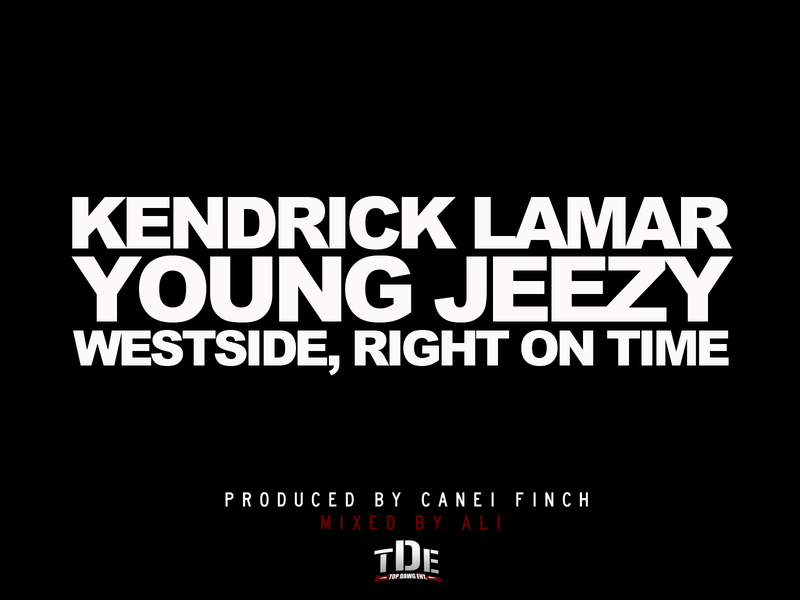 As Los Angeles-based independent record label Top Dawg Entertaiment's Fam Appreciation Week winds down to a close TDE's Kendrick Lamar let loose his free track"Westside, Right On Time" featuring Young Jeezy. Opening with a rich vintage R&B sample, Lamar traverses sample-driven production supplied by Canei Finch and receives a nod-worthy assist from Jizzle. Kendrick's forthcoming debut album, good kid, m.A.A.d. city is due out later this fall. With two solid singles already released, all presents signs are predicting GKMC won't have a problem living up to all the hype and mounting anticipation. Stream and download Lamer's contribution to the TDE's Fam Appreciation Week and mark your calendars for the release of good kid, m.A.A.d. city, which is due out October 2 via Top Dawg/Aftermath/Interscope Records.